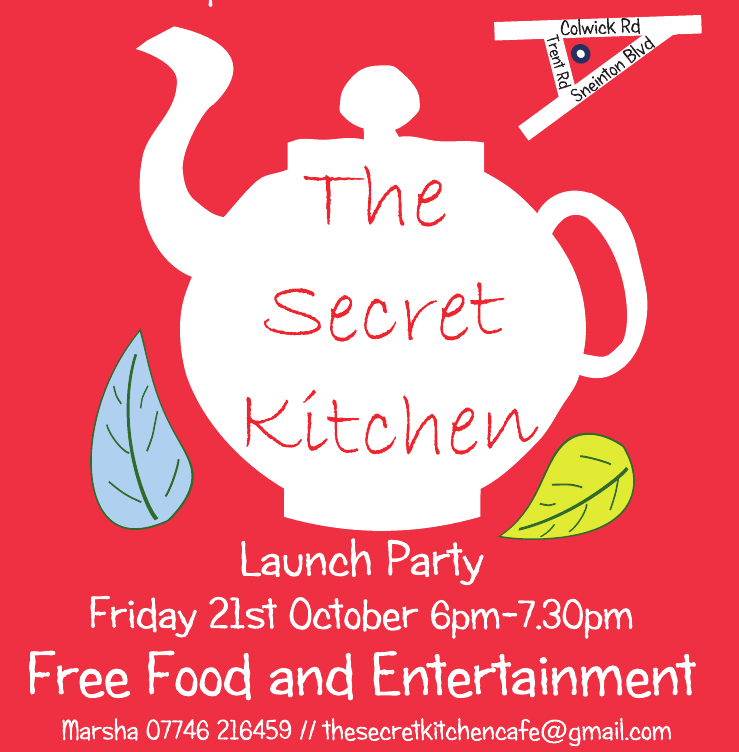 Marsha Smith, who has been one of Sneinton Cafe's best cooks over the years, is now opening her own cafe (the Secret Kitchen) at St Christophers Church hall on Trent Rd. It will be opening mon-fri from 9-4pm and should be a great place to hang out and get Sneinton's only fresh coffee, plus homemade cakes, pies, soups etc. There will be other things going on there too like family days and other ideas as they arise. Please get in touch with her if you want to be invoved in some way or use the space.